A Constitution Or A Con-Situation? The late Walter Murphy, one of the most distinguished scholars of constitutional law, was of the view that the written text is not perfectly contiguous with the larger constitutional order of a country, an order that might include “super-statutes,” decisions of judges and agencies, and even informal institutions. If one is to understand the difference between a country’s written constitution and its larger constitutional order, it is important to distinguish between the functions of a constitution and its form. The proponents of a new constitution as a panacea for all ills in Sri Lanka should seriously consider whether they are more concerned with the functions of a constitution or its form. Of course one has a relationship to the other, but a form could exist without functionality although functionality cannot exist without a form.as the legitimacy of functionality (what people can and cannot do) has to be within the framework of a constitution. Is a form, in the generally understood context of a form necessary? For most people, especially abroad, the United Kingdom does not have a constitution at all in the sense most commonly used around the world — a document of fundamental importance setting out the structure of government and its relationship with its citizens. All modern states, saving only the UK, New Zealand and Israel, have adopted a documentary constitution of this kind, the first and most complete model being that of the United States of America in 1788. However, in Britain, they have a constitution, but it is one that exists in an abstract sense, comprising a host of diverse laws, practices and conventions that have evolved over a long period of time. The key landmark is the Bill of Rights (1689), which established the supremacy of Parliament over the Crown following the forcible replacement of King James II (r.1685–88) by William III (r.1689–1702) and Mary (r.1689–94) in the Glorious Revolution (1688). From a comparative perspective, there is, what is known as an ‘unwritten constitution’, although some prefer to describe it as ‘uncodified’ on the basis that many laws of a constitutional nature that are written down in Acts of Parliament or law reports of court judgments. This aspect of the British constitution, its unwritten nature, is its most distinguishing characteristic. In many ways, the mother of all Parliaments, as some describe the British Parliament as, appears more to focus on functionality rather than a conventional form. Functionality is a reflection of behaviour and by that it must mean how peoples of a country behave amongst themselves and with other. Behaviour is influenced by many factors such as culture, religion, ethnicity, caste systems, distribution of wealth, power centres etc. Sri Lankans still have not reached the point of behaving or living with each other within this context, as equals but with the acceptance of what divides them. 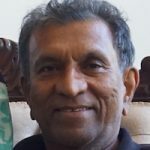 In the much discussed and debated need or otherwise for a new constitution, the question to be asked perhaps is whether such a document will address the behavioural issues that Sri Lankans have with each other or whether the country should be looking at other approaches to bridging the behavioural divide. Will a new constitution facilitate greater equality? The term greater equality is oxy moronic as equality cannot be less or more. Equality is equality. On paper, the existing constitution gives equality to everyone in Sri Lanka irrespective of their divides. So, how would a new constitution give more than what is already given? The need for a model that provides greater power sharing and a degree of self-determination to the Tamil people in the North, and some argue, to those in the East, is given as a reason why a new constitution is required. 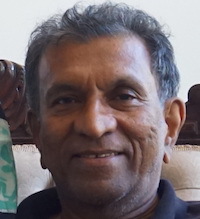 Proponents of this model do not seem to regard the Tamil people of the country as a homogenous group, as Tamil people in other parts of the country including the more recent Tamil arrivals in the country, those Tamils living in the central part of the country, are not included in the model that is proposed. If discrimination of Tamils by the Sinhala dominated governments is the reason why a new model is needed, then such discrimination will not abate in the rest of the country as Tamil people in such areas will continue to be dominated by and large, by Sinhala governments. It is a fact, one could say due to an accidental arithmetical fact, that Sri Lankan governments since independence have been dominated by the Sinhala Buddhists. In a country where the population is 70% Sinhala Buddhist, this is bound to happen. The challenge therefore is how one could bring all communities into a governance model so that power is shared equitably, not equally, as there cannot be equal power sharing in unequal arithmetical contexts. Power sharing could and should mean equity in decision making where a set of people elected as the representatives of a broader mass of people, act in such a manner to ensure those who they represent benefit equitably when decisions are made at national level and sub national level. Authority to make decisions that are equitable on behalf of the people they represent, must therefore be shared at national level and at sub national level (whether it is at provincial or local government level). Decisions that are taken at different levels of governance obviously varies, as issues vary from national to provincial and then to local government. Ideally, a governance model at national level should be drawn, at least partly, from sub national levels so that there is more equitable representation of issues during national level decision making that are relevant to sub national levels. So, in effect, a system that selects some members to provincial councils from local government levels, and some members to the national chamber from provincial councils could perhaps provide greater equity for decisions that affect the lives of ordinary people of the country who are regarded as the Kings and Queens, Princes and Princesses by politicians during election time and then thrown into the scarp the heap after that. The servant, master role undergoes the usual metamorphosis, and the servants who rode in bicycles and bullock carts find they cannot go even a few feet without the latest Benz or the BMW and a retinue of secretaries from their families who also ride in their Benz, BMW or an Audi’s, while the Masters continue in their bicycles or bullock carts. The constitution making that has been going on is a farce and it will not provide equity nor meaningful power sharing. It will further divide an already divided country and it will only be a supposed solution that will only create more problems for the future generations of the country. In a word, the current constitution making exercise is a con. It is not going to serve the real masters. It will further enrich the servants. Your premise is right, that people should have more say over their affairs on a local level. But the current PC system doesn’t let the people choose their local govt. The Governor is appointed by the President who is elected nationally. Are you proposing that the PC system needs to be changed then, so as to accommodate regional decision making? I am not very clear on your position. Author has laboured so much to conclude on one point – no autonomy for Tamils. The same lame excuse of so many Tamils in the south is being touted to deny Tamils their legitimate rights to rule their homeland. Pakistan was created with one third of Muslim population in India. Ireland gained independence with several Irish in UK. So why cannot this rule be applied to Sri Lanka. Secondly, 90% of Tamils living in the south are those of recent Indian origin and not the indigenous Tamils. In the same way 90% of Indigenous Tamils are still living in their ancient places in north and east. The problems of Tamils in the south and Sinhalese in the north & east can be settled, if international laws which guarantees rights of minorities are implemented fully, by passing racial equality act and ensure safety of their lives and property. The whole issue is that except for a few Sinhalese, the rest including this author are not willing to share power and territory with Tamils in a fair and meaningful manner. Only way for justice to be meted out to Tamils is by force on intransigent Sinhalese, by foreign intervention as what happened in 1987. .
Raj Gonsalkorale ~ “A Constitution Or A Con-Situation?”. Constitution work only if hearts and minds ae in it. Amendments are used to hoodwink us. Brand new constitution is used to distract us. We are in con-situations during husting. Remember in 2010 we were told, “Oil found in Mannar. Oil import worries will be memories”. Another one, “Colombo will be the next Singapore”. Two days back we were told, “Colombo will be the New Dubai”. From where the slave labour will come from was not mentioned. Questions: Is an election round the corner? Why has Singapore lost its sheen? When? I think the author is saying there should be a way to bring local government issues to provincial level and provincial issues to national issues, not by MPs elected to a national parliament, but also by representatives from provinces. The kind of devolution mentioned in news media does not give provinces any say in national matters at central level. Another valid point is made. That is about the dispersion of Tamils in SL and how their rights will be ensured in Sinhala dominated areas if the issue of Tamil (and minority) rights is what is behind the clamor for a new constitution. I agree with the author that we are being conned yet again!. The constitution is supposed to be the Supreme Law of the country. Unfortunately this exercise has been an abysmal failure due to blatant partisan politics due to communal demands and the lack of Statesman in the country leading to disfunction and a Banana Republic. The present effort is undoubtedly another con job; the common man being fooled again. The country is in worse shape and virtually broke since independence; heading to be colonized again; this time by the Chinese.